Get quick access to experienced hand-picked local GPs who can offer you the time and attention you need, here in our well-equipped consulting rooms in central Bournemouth, Dorset. Dorset Private GP service, based in the heart of Bournemouth, offers you the unhurried, thorough, personal care we believe is best for patients. 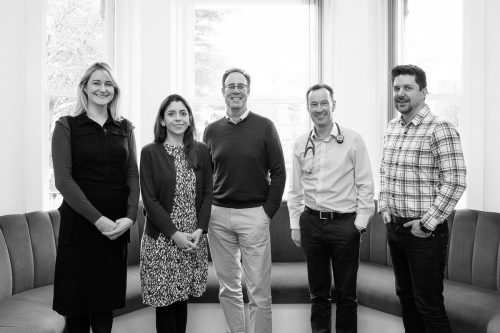 All our doctors are highly experienced practising local NHS GPs and we provide all the services you’d expect from a GP consultation, plus some you wouldn’t. Your health is important and with the NHS sometimes struggling to offer a quality service now is the time to choose a private doctor. You can see us at a convenient time that suits you – and at an affordable price. And you can see the same doctor each time, just as you once did with a traditional family GP. There’s no need to register in advance and you can continue seeing your existing NHS GP. If you’re looking for a GP practice that has the time to focus on you, just book online or call us on 01202 761150. Our charges are simple and clear. You just pay per appointment, service or procedure. There’s no need for private insurance – we welcome anyone who needs our services. All our team are experienced hand-picked local NHS medical professionals, led by Dr Tim Alder. We work next door to the NHS Poole Road Medical Centre in Bournemouth, Dorset. Why use a private GP? You want to see a doctor quickly. You want to spend longer with your doctor. You’re looking for a medical checkup or screening that’s not available on the NHS. You want a vaccination that’s not available on the NHS. You have a problem you wish to discuss discreetly. You want continuity of care with a team who can get to know you just as family doctors used to do.